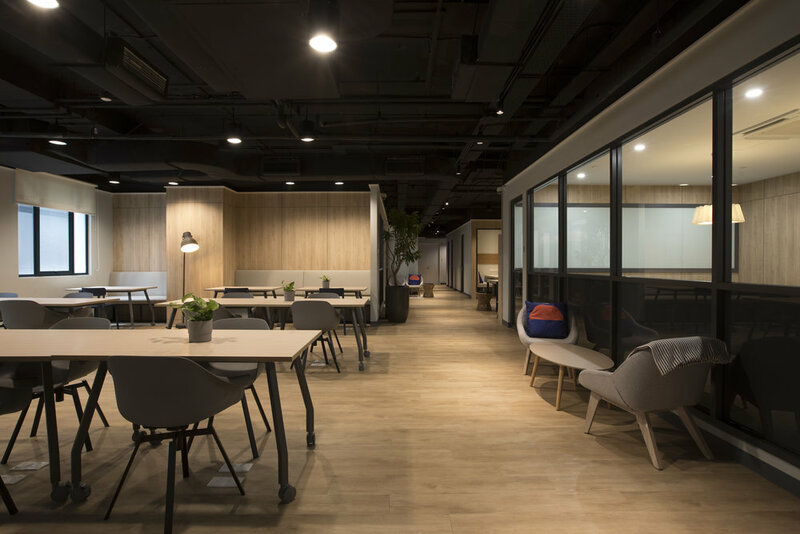 Located in the heart of Bangsar South and a newly launched location in Kuala Lumpur City centre, Komune offers a total of 84,000 sq/ft Co-Working space designed to suit corporate needs for innovative, collaborative, productive and beautifully designed work environments that will enhance clients experience in the workplace. Besides providing innovative work spaces and private office suites, Komune co-working locations provide a variety of lounge areas and event spaces to cater to client needs for larger event spaces to address larger groups. The spaces come fully equipped with six meeting rooms and two large event spaces in Bangsar South, and another six meeting rooms and three event spaces of various sizes at their new location in Kuala Lumpur. The Sonance Professional speakers deliver breath taking sound quality to all sizes of groups, regardless of size and type of event. The Sonance Professional Series PS-P43T Pendant Speaker utilizes a minimalistic design similar to the pendant lighting to blend discreetly into the environment. The integrated top cover hides the hanging hardware and wiring connector for a cleaner look. Inside the PS-P43T a high-excursion 4” polypropylene woofer delivers effortless low bass extension, that exceeds most 6.5" and even 8" in the market today, while the pivoting chambered 1” soft dome tweeter can be directed to ensure accurate coverage, when speaker positioning is compromised. The PS-P43T has a full-fidelity transformer that delivers uncompromised sonic performance in either high (70V, 100V) or low (8 Ohm) impedance. Komune has hosted events for clients ranging from MDEC, LinkedIn, Maybank, Lenovo, Deloitte and various media launches, workshops and seminars. The clean, simple and elegant design of the PS-P43T Sonance Pendant Professional Speakers provide a classy feel, enhancing the environment without disrupting the look and feel of the space. Superior sound quality is a key factor in hosting an event with client expectations being extremely high for these major launches and events.